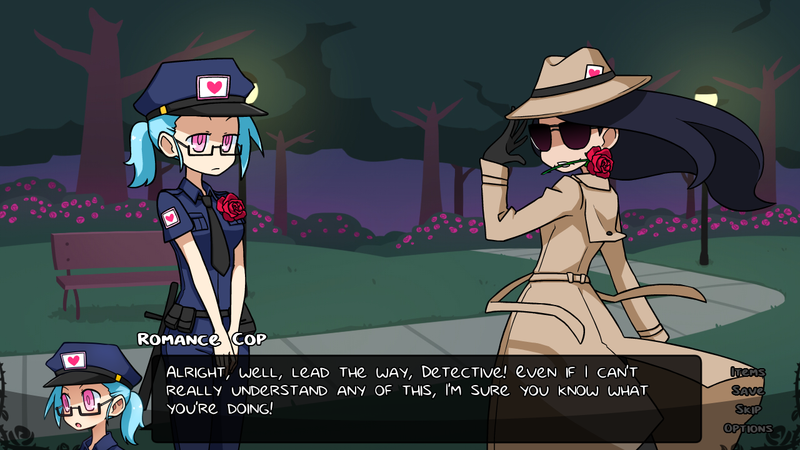 ROMANCE DETECTIVE is a visual novel originally made for NaNoRenO 2014. it's a love story about a detective who solves crimes of passion alongside her partner, romance cop. this version of the game features a super incredible ORIGINAL SOUNDTRACK, an updated interface, and a new items screen. there's also a cute little gallery where you can view the illustrations and character profiles! you can find even more of my work HERE and if you're into my stuff and want to throw money at me, maybe support me on patreon! 10/23/2018 - added vietnamese translation, an opendyslexic font option, and added a language select screen to the beginning of the game. 5/24/2017 - updated korean version, made a combined pc and linux build too since apparently the old linux one was broken? 4/19/2016 - korean translation has been added! 3/15/2016 - there's now a web version of the game! 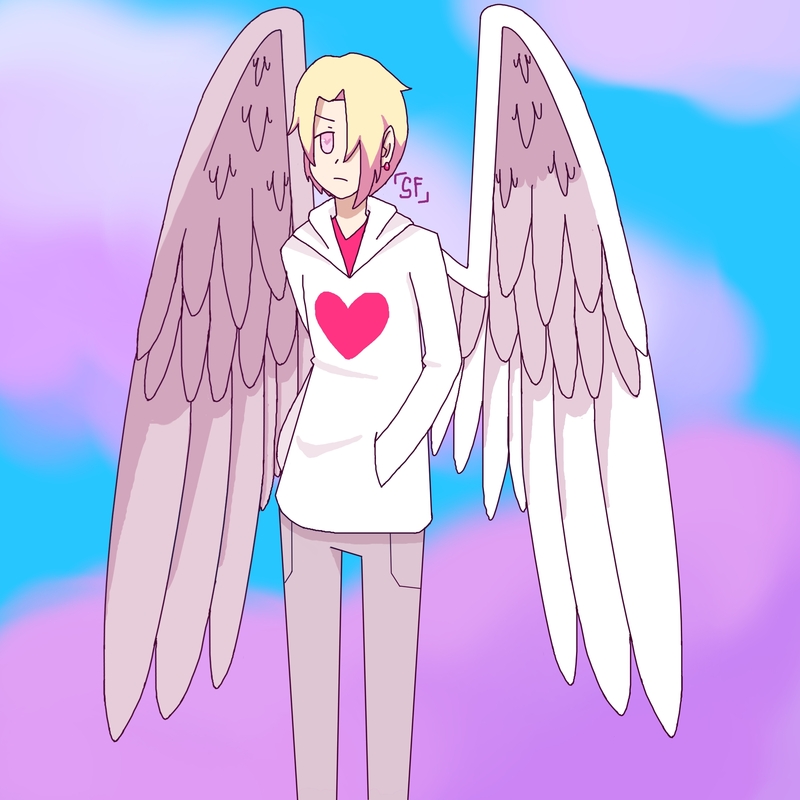 Light-hearted and sweet. A good game if you like a short and cute story. based on the reviews, I feel like this would be a really good game. however it keeps saying that I don't have the "appropriate permissions"? I'm not sure what that means but I can't run the game because of it. love the visual novel making series out of the first one and then moving on to the second one! there's a link to the sequel at the top of the game page. it's unfinished but i've moved on from the series so unfortunately that's all there is! The art style is giving me skull girl vibes and I absoulety love it! WASSUP ROMANCE PEOPLES! I absolutely loved the first game and am playing the second game! Hint: It's awesome! As a detective story, this game has a really terrible mystery writing. But i dont mind at all, since this game is so cute ^-^!!! I love it! WOAH WOAH WOAH! What a crazy ending to such a great game! Here is the second part for you beautiful peoples! This game was crazy awesome! The art style was fabulous and so pretty! I really did enjoy playing this game! Here is the first part! Yeah... I really like this game. It's funny. The plot and dialogues are very good. I want to play the game! Thank you for your hardwork! Seems like I can download this without paying. I'm broke af but if I have the money, I'd definitely contribute for your hard work. I gave you a follow though, I'd definitely contribute in the near future! This game is so cute~~ 10/10!!!! I played this ages ago but only just rediscovered your itch.io profile. I really enjoyed this game, it made me laugh and giggle. And the artwork is absolutely amazing, it's very cute and simple but helps tell the story perfectly. Great work on this!! Good game. Romance Cop was cute and the ending surprised me, was like, "No. MY girl". Lol. Cheesy, a little sappy, and entirely over-the-top, yet there's a certain charm to the game. I enjoyed my time in the world of "Romance Detective", for the short time it lasted. The character development is well-paced, the art is nice to look at (though "Romance Cop" looks like she needs to eat more. I'm low-key worried about her health), and the music is pleasant to listen to while really matching the tone of the game. I wish there was a bit more interactivity, but I understand this was intended as a visual novel rather than a game. While I personally think this is inferior to your previous work, that's still saying something, as your work up to now has been impressive, to say the least. haha this was the first original game i made so my "previous works" were actually made after this one. thanks for playing it though! Ah, my bad. I forgot to check that. Nami, after playing some of your other games I wanted more...and you've delivered something truly amazing with Romance Detective. The characters, the story, the art, everything is simply fantastic and I love it. It's charming and funny, a great visual novel. I look forward to playing the sequel! I'll forever be a fan of your work. If you don't mind I made a let's play of the game. Loved the game! Keep up the good work! Hey, there is a very confusing portuguese translation error in the very beginning of the game, when the detective says "This rose", it is translated like "Está rosa", intead of "Esta rosa" which has a completely different meaning. "Esta rosa" means "This rose", but "Está rosa" means "You are pink" or "It/he/she is pink"
ahh thank you for pointing it out! i'll update it soon. Hey there continued on with Romance detective <3 this is a lot of fun! Super funny and love the art style! Will definitely do more Let's Plays of it! Im playing this cause i saw it on bijuu mikes channel and thought the game graphics were pretty cute! I really enjoyed this silly game :D It was funny, charming, and the characters are so gosh darn adorable! I didn't even realize, until I was preparing a blog entry about this game, that you also made Syrup and the Ultimate Sweet--another game that I loved! Well done :) You've earned a fan for life! Hmm... Are you my doppelganger perhaps?